StoptheDrugWar.org needs your support more than ever before to continue our work of getting the word out online for the drug policy reform movement, building the movement, and providing this crucial informational tool that reformers around the world use in their work every day. I ask your support at this time with the most generous donation you can afford to enable this newsletter to continue . http://www.facebook.com/sharer.php?u=https://stopthedrugwar.org/chronicle/2013/jul/18/stopthedrugwarorg_and_chronicle&amp;t=StoptheDrugWar.org and the Chronicle Need Your Support! 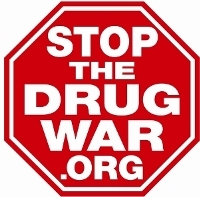 http://www.stumbleupon.com/submit?url=https://stopthedrugwar.org/chronicle/2013/jul/18/stopthedrugwarorg_and_chronicle&amp;title=StoptheDrugWar.org and the Chronicle Need Your Support! http://reddit.com/submit?url=https://stopthedrugwar.org/chronicle/2013/jul/18/stopthedrugwarorg_and_chronicle&amp;title=StoptheDrugWar.org and the Chronicle Need Your Support!